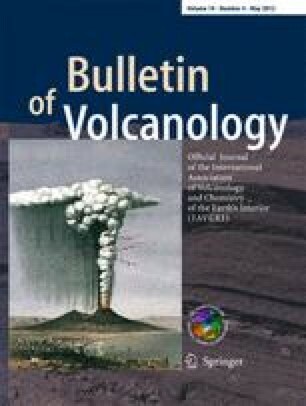 Using a network of 15 seismometers around the inflating Uturuncu Volcano from April 2009 to 2010, we find an average rate of about three local volcano-tectonic earthquakes per day, and swarms of 5–60 events a few times per month with local magnitudes ranging from −1.2 to 3.7. The earthquake depths are near sea level, more than 10 km above the geodetically inferred inflation source and the Altiplano Puna Magma Body. The Mw 8.8 Maule earthquake on 27 February 2010 triggered hundreds of earthquakes at Uturuncu with the onset of the Love and Rayleigh waves and again with the passage of the X2/X3 overtone phases of Rayleigh waves. This is one of the first incidences in which triggering has been observed from multiple surface wave trains. The earthquakes are oriented NW–SE similar to the regional faults and lineaments. The b value of the catalog is 0.49, consistent with a tectonic origin of the earthquakes. We perform ambient noise tomography using Love wave cross-correlations to image a low-velocity zone at 1.9 to 3.9 km depth below the surface centered slightly north of the summit. The low velocities are perhaps related to the hydrothermal system and the low-velocity zone is spatially correlated with earthquake locations. The earthquake rate appears to vary with time—a seismic deployment from 1996 to 1997 reveals 1–5 earthquakes per day, whereas 60 events/day were seen during 5 days using one seismometer in 2003. However, differences in analysis methods and magnitudes of completeness do not allow direct comparison of these seismicity rates. The rate of seismic activity at Uturuncu is higher than at other well-monitored inflating volcanoes during periods of repose. The frequent swarms and triggered earthquakes suggest the hydrothermal system is metastable. This project would not have been possible without the help of the Bolivian Servicio de Areas Protegidas (especially the staff at the Reserva Eduardo Avaroa), the residents of Quetena Chico and Quetena Grande, and the staff of the Observatorio San Calixto. Seismic instruments were provided by Program for Array Seismic Studies of the Continental Lithosphere (PASSCAL). We thank Diego Martínez, David Cassis Chuquisea, Luís Galván, Tom Fournier, Lloyd Carothers, Anna Bellesiles, Branden Christensen, Scott Henderson, and the Servicio Nacional de Geología y Técnico de Minas for assistance in the field. We also thank Zach Chartrand, Christopher Bruton, Nicole Button, and Bekah Tsigonis for help in earthquake picking and location. This work was supported by NASA (National Aeronautics and Space Administration) grant NNX08AT02G issued through the Science Mission Directorate's Earth Science Division and NSF (National Science Foundation) grant 0908281 which is part of the PLUTONS project (plutons.science.oregonstate.edu).